Young veterinarian Nathan Brooks spent every childhood summer with his neighbor’s granddaughter Julia Hart. As a small boy, he’d been impressed by her attack on him with a plastic bat after his border collie attempted to eat her kitten. He knew he’d marry her someday. Childish spats evolved into something sweeter until suddenly, cats and dogs didn’t seem so incompatible. But Nathan’s mother succumbed to cancer and his father and brother took solace in addiction. For Nathan, golden days grew few, and far between. Cast out of his home, Nathan had to make his own way in the world. For the first year, he managed to keep everything together. The year after that, his life fell apart and he left behind the only girl who ever mattered. Three years after Nathan left her, Julia Hart is living in her grandmother’s house next door. Nathan has returned home to open his own practice. They have a lot of unfinished business. Evidently, neither has been able to move on. But what can he offer her? They haven’t spoken since the day he walked out with no explanation, and Julia’s not about to let bygones be bygones. Not after she’s spent three years shoring up the walls around her broken heart. Besides, he’s not exactly convinced he’s the best bet. But fate has a way of knocking down walls when it gets good and ready. Even if Julia and Nathan are not. This is the first of two novellas containing animal antics and a second chance romance. Partial proceeds will be donated by the author to children’s cancer charities. “Well . . .” Jules shrugged a shoulder as Greg knocked and stuck his head in the room. 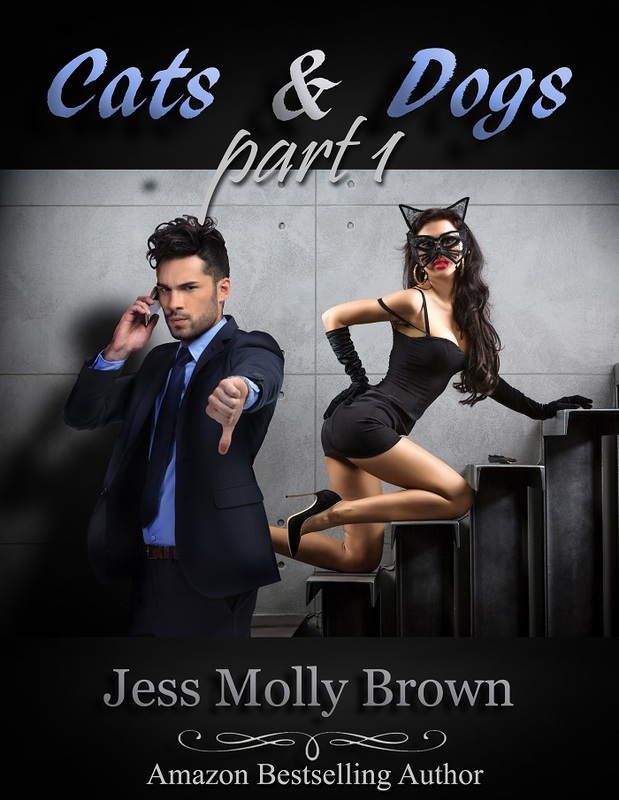 Cats & Dogs (Part 1) by Jess Molly Brown was overall a good read. It took me a little to get into the story and I was a bit peeved with Nathan’s reasons for leaving Jules as he did but as I continued reading the pair grew on me. It was a sweet second chance story with some interesting characters. I’m interested to see what happens next for the couple. 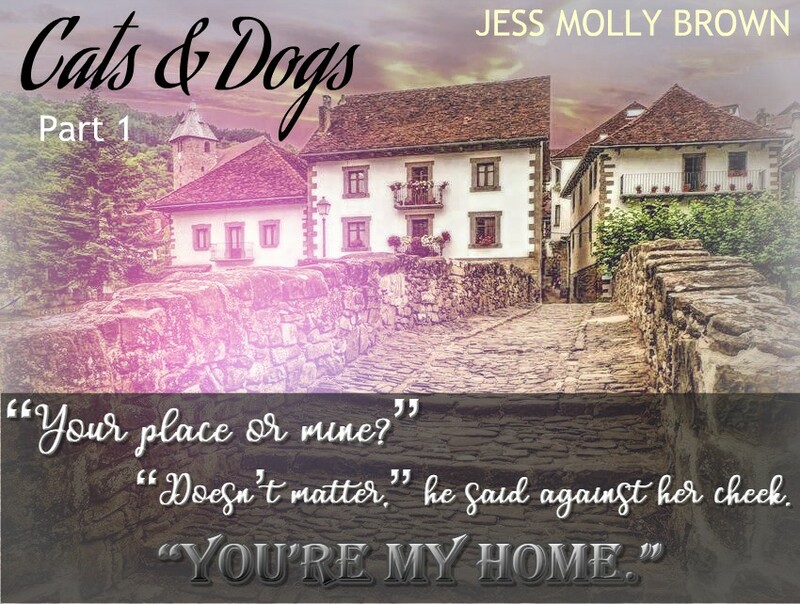 Posted on 23/10/2017, in Authors & Books, Blurb, Excerpt, Good Cause / Charity, New Releases, Reviews, Spotlight / Blog Tour, Teaser and tagged @jmollyfanfic, @starange13. Bookmark the permalink. Leave a comment.